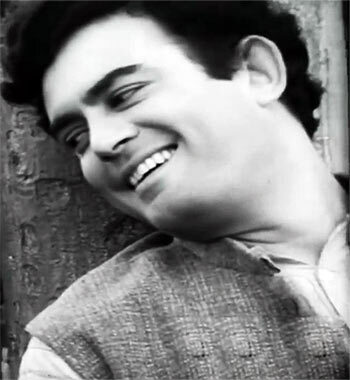 Rediff.com » Movies » Revisiting Sanjeev Kumar's masterful, must-watch Dastak. 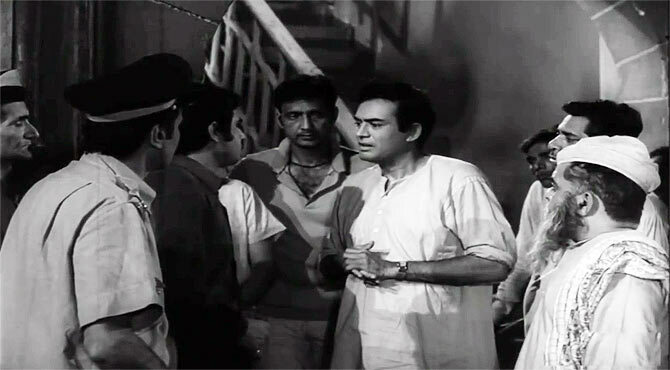 Revisiting Sanjeev Kumar's masterful, must-watch Dastak. 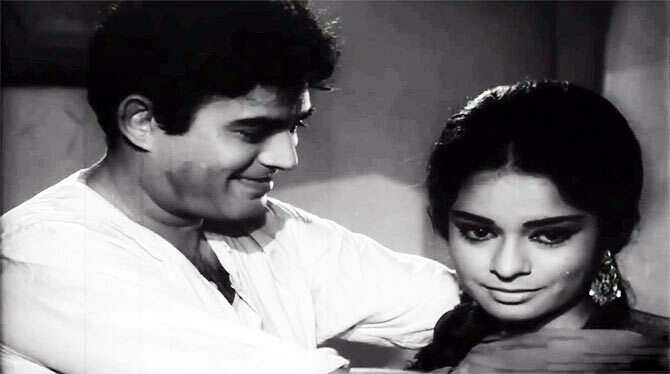 In our special series re-visiting great Hindi film classics, we look back at Sanjeev Kumar's Dastak (1970). A city of dreams and disparity, where hopes and hardships, strife and success, hostility and harmony, faith and fallacy regularly collide, isn’t easy to call home as the newly married Hamid and Salma find out in Rajinder Singh Bedi’s crackerjack directorial debut. Oblivious to the history of the disrepute imprinted on their new address, previously inhabited by a notorious prostitute Shamshad Begum (Shakeela Bano Bhopali) now running a brothel a couple of lanes apart, Hamid and Salma weave sweet, sensual dreams of marital bliss. In a space once marked by flesh trade, these two are yet to consummate their marriage deferred by a late night knock on the door, a rude realisation. Meanwhile, Manmohan Krishna, playing an elderly resident of the adjacent building, sees through their motivations and is the only sensible voice standing up to the vicious mob. Regrettably, a much wary Hamid mistakes his concern for curiosity. Likewise, these tense episodes do damage Hamid’s psyche to an extent. Bedi goes on to depict how even the most decent of men turn into vile versions of themselves when hit by a sense of futility. Hamid’s manner of protecting his wife is also robbing her off the one luxury she values the most -- music, a talent he holds in awe but now forbids Salma from pursuing because of its association to the nautch girls in the neighbourhood. The despair in her plaint ('Na tadapne ki ijaazat hai na fariyad ki hai. Ghutt ke mar jaon yeh marzi mere sayyad ki hai') leading up to the aforementioned instance and esoteric visuals of her running across desolate backdrops, convey her pent-up emotions in poetic measure. Even if life never comes to a standstill, the setbacks remain constant. Hamid’s financial condition, a clerical job and scrupulous work ethics, make it nearly impossible to buy a house. 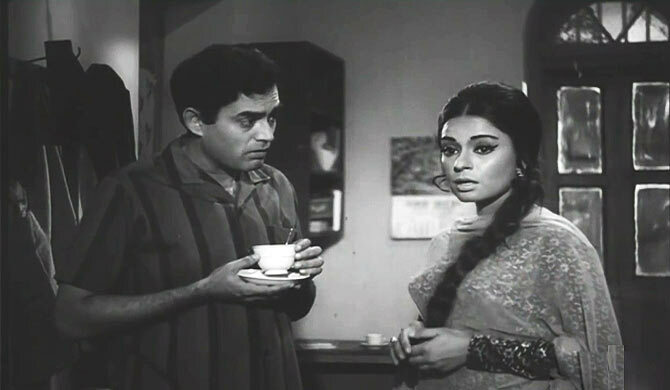 Bedi also notes the difficulty posed by a Muslim identity in acquiring accommodation even in the Mumbai of 1970s, how it compels Hamid to lie about his name or borrow money from the sympathetic office secretary (a gorgeous, underused Anju Mahendru). Dastak takes a break from stifling Mumbai to enjoy a breeze of fresh village air in Hamid-Salma’s brief visit to her father. The distraction is designed not only to justify Salma’s claustrophobia in the city but point at the impoverished conditions that compel youngsters to leave their hometown for better prospects. 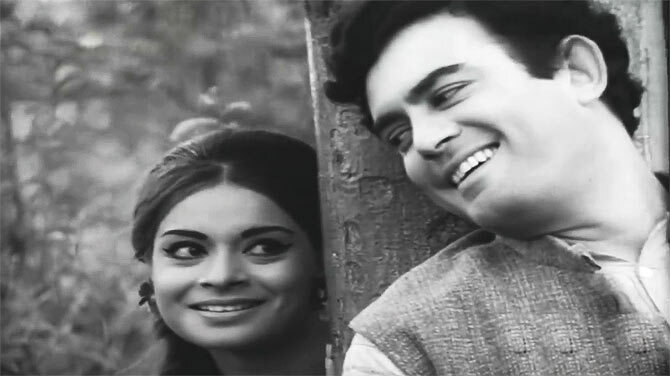 Sanjeev Kumar and Rehana Sultan exude a rare, real intimacy as husband and wife wherein both their tenderness and frustration towards each other colours the authenticity and desperation of their circumstances and an inevitable loss of innocence. It’s easy to feel the plight of the poor pair, devising code words like Bombay Central or staying out till midnight in order to protect themselves as well as their sanity. At a time when the entire nation was reeling under superstar Rajesh Khanna’s mania, Dastak had little chance at the box office but, nevertheless, received critical accolades. Both its leads walked away with a National Award honour for their superlative performances. Unlike Sanjeev Kumar who hit gold with his unhinged turn in Khilona, Sultan’s bolder avatar in Chetna the same year proved detrimental for her career. In an interview to Avijit Ghosh, journalist and author of 40 Retakes: Bollywood Classics You May Have Missed, Sultan shares how Leela Naidu and Mumtaz were contenders for Salma’s role but Bedi picked the newbie over these established actresses.